Scotland has been holding its annual round of Open Doors Weekends, and it’s just been Edinburgh’s turn. 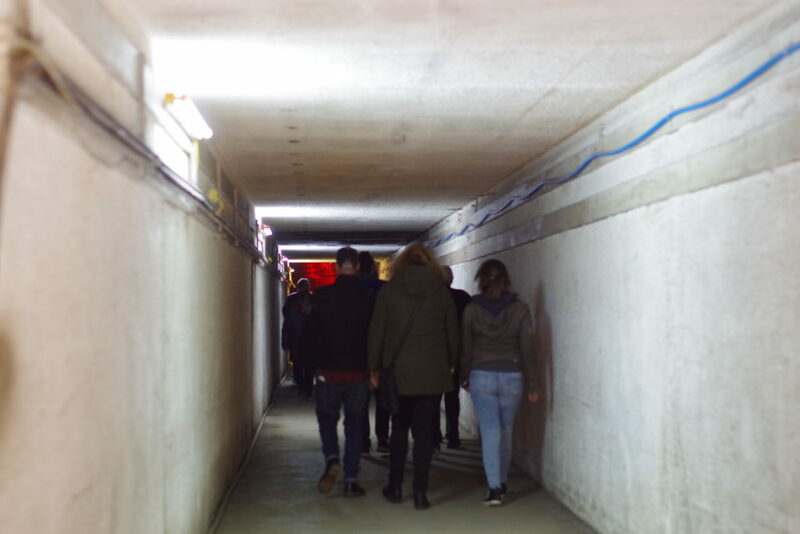 These are rare opportunities for the public to explore normally inaccessible buildings, and on Sunday I was lucky enough to visit the Cold War nuclear bunker at Barnton Quarry. A work colleague couldn’t attend, and knowing I was interested in such places, he let me have his tickets. The bunker at Barnton started off in 1942 as a control room for the RAF, who flew out of nearby Turnhouse (now the site of Edinburgh Airport). 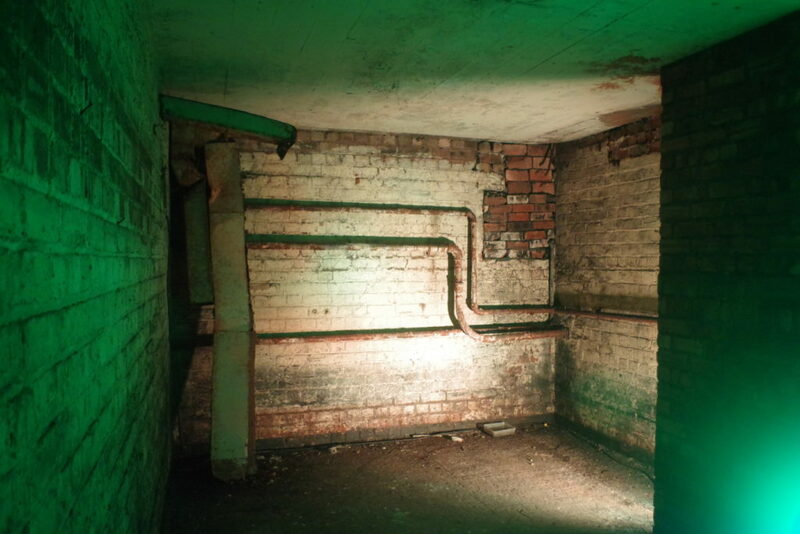 After the war, as the Cold War developed, the wartime building was linked by a tunnel to a much larger subterranean facility. It was originally a ROTOR radar station, providing early warning of possible Soviet attack, before becoming one of Scotland’s three Regional Seats of Government. These would have housed a range of officials responsible for running the country after a nuclear attack, when central government was likely to have collapsed completely. I’ve been to two other bunkers used as RSGs – Kelvedon Hatch and Anstruther – and they’re fascinating places. Barnton became redundant as an RSG in 1983, and was sold to Lothian Regional Council, who intended to use it for further emergency and civil defence purposes, but the government refused funding for refurbishing it, so they never did much with it. The site was sold to developers in 1987, and subsequently changed hands several times. The bunker was repeatedly broken into, partially demolished, and seriously damaged by fire in 1993. In 2011, it was (somewhat bravely!) 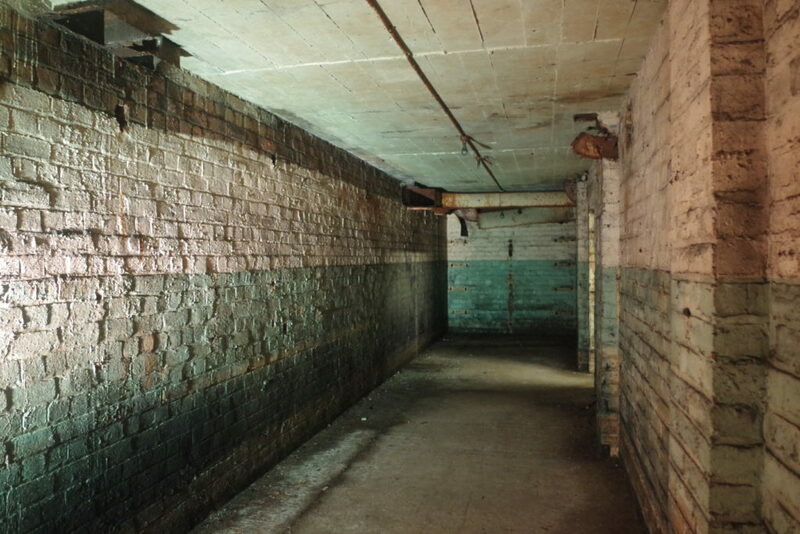 acquired by the owner of the Anstruther bunker, and a volunteer effort to restore it began. Rather miraculously, progress is good and there are plans to fully open the bunker in its ROTOR station guise. 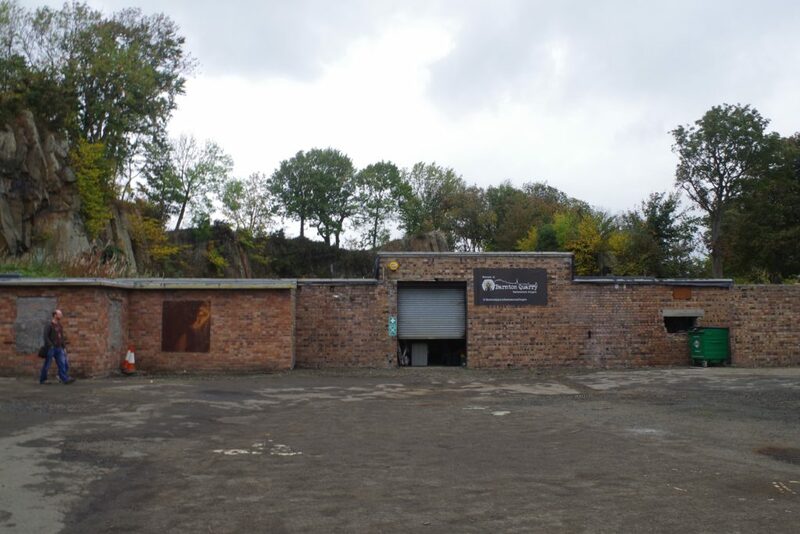 No other bunker survives in this form, and it’s also extremely unusual in being near a city centre – unsurprisingly, most of these bunkers are in remote locations, but the huge rocky hillside of the old quarry at Barnton made it an ideal site. The vision of a museum and educational facility highlighting the Cold War is an extremely good one, and I’m rather keen to do some volunteering on the restoration myself. Anyway…on the day of the visit, there were lots of interesting things to see. Most of the bunker is a building site, due to the restoration work, and so only a small part of the (unrestored) 1940s building and link tunnel were open. 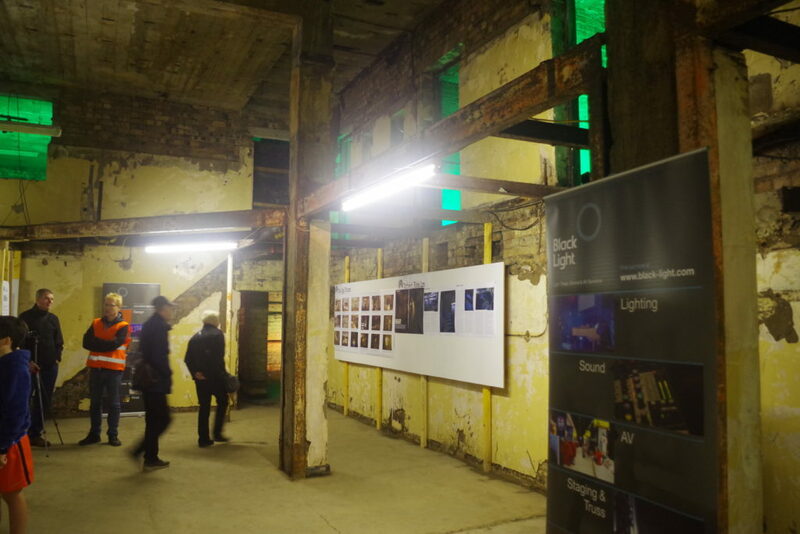 However, these sections hosted a very comprehensive exhibition of photos and memorabilia, showing off the various phases of the bunker’s history. A volunteer from the restoration team also gave three fascinating presentations, covering the historical background to the construction of the bunkers nationwide, the history of the Barnton Quarry bunker, and the progress on restoring it. 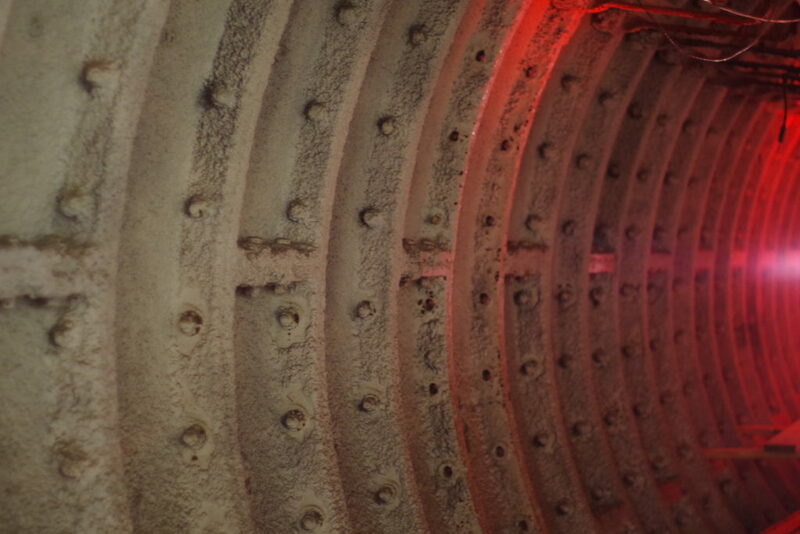 These again featured a lot of excellent photos, and quite a few fascinating facts – the tunnel connecting the two parts of the bunker is built out of London Underground cast-iron tunnel linings! There can’t be too many other ones in Edinburgh. I’ll leave you with a few photos that show off the current rather creepy atmosphere, and a few bits of the displays. Surface building at Barnton Quarry, part of the WW2 facility built in 1942. Comprehensive info display in the old wartime ops room. The place is full of atmosphere! Some London Underground tunnel segments that got a bit lost! They were requisitioned by the government to build the bunker. The initials “LTE” (London Transport Executive) are visible on some of them. As I left at the end of my visit, I got to chat with a couple of volunteers, and found them to be a group of dedicated, passionate and knowledgeable people. I have no doubt whatsoever that this will turn into an amazing place to visit, and I’m happy that it’s not been left to crumble. I’ll be keeping a close eye on progress! What a fabulous experience! Thank goodness for the volunteers who keep such places alive.